It’s often best if you don’t know the name of an institution’s attorney because that usually means the institution is not involved in a scandal or law suit. However, the general counsel for HBU, Jack Wisdom, is someone we think you should know about. Besides his legal work he is also a sometime teacher in New Testament here since he also has an MDiv from Gordon Conwell. 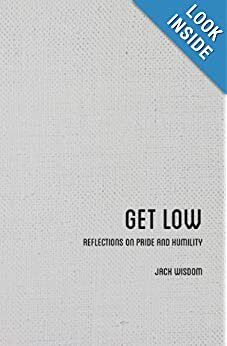 Earlier this year he wrote a book titled Get Low: Reflections on Pride and Humility. It’s gotten great reviews on Amazon and some blogs I know, so you should check it out. « Considering Studying Apologetics? FAQ Part 3: Do I Have to Be a Baptist to Study at Houston Baptist University? I read this book before publication. Wisdom has done a great job of advocating for one of the central Christian virtues and urging us to avoid its opposite, pride. Jack is a terrific communicator and gifted theologian. He was going to call it “The Second Best Book on Humility Ever Written” (tongue planted firmly in cheek).